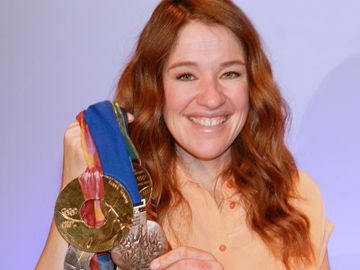 Six-time Olympian Clara Hughes enjoyed a big breakfast on Tuesday (April 20) and shared it with some 1,100 eager fans and supporters of her own journey through depression. Hughes was the keynote speaker at the seventh annual Breakfast of Champions, a presentation of St. Joseph’s Health Care Foundation and the Canadian Mental Health Association, held at London Convention Centre. The breakfast raises awareness and funds for mental health programs in the community. “This is definitely the biggest breakfast date I have ever had, so thanks for showing up,” said Hughes, who added she wasn’t only in London to share her stories of Olympic glory. In addition to Hughes personal story, the breakfast also included the presentation of the Champion of Mental Health Awards. The awards honour local individuals or organizations for their contributions to mental health care delivery or promotion. This year’s champion awards went to Paul and Barbara Hebert, advocates for mental health and initiatives to combat stigma, and Lisa Mercer, who helped Thames Valley District School board develop and implement its mental health strategic plan. The champions, indeed all the nominees, were very much deserving of recognition by the audience. However, it was Hughes and the story of her triumph over depression — and her commitment to championing mental health — that had the sell-out crowd captivated. Hughes shared many of her Olympic memories, but was quite open in discussing how her early athletic success led to battles with depression. Sharing that battle is what Hughes describes as being the most important work of her life. Hughes described herself as being “severely over-trained as young athlete,” something that she says quite likely helped drive her to the success of winning her first two bronze medals at the 1996 Summer Olympics. In a 20-year Olympic career, Hughes would go on to become the only person to ever win multiple medals at both the summer and winter games. 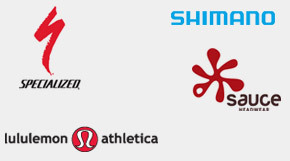 That over-training, Hughes freely admits, began a downward spiral that led to depression. Hughes describes herself as being “completely delusional” before deciding to seek out the help she needed to deal with her depression. That help, Hughes said, came through a reconnection with nature, finding balance in her life through new coaches and taking better care of myself. Hughes said she needed to “fundamentally change the way I did my job,” and live a more balanced and healthy lifestyle — ironic considering her success as an elite athlete. 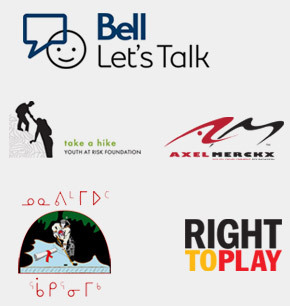 In addition to speaking about her role as spokesperson for Bell Let’s Talk Day, along with the creation of Clara’s Big Ride (a nationwide cycling effort to promote mental health), Hughes said her greatest satisfaction comes in sharing her story with young people.